An NCC/Wayss & Freytag Ingenieurbau joint venture has been awarded a contract to construct the Korsvägen section of Gothenburg’s West Link rail project. The JV will build a 3.2 km section of the West Link tunnel in Gothenburg, Sweden, between Landala, via Korsvägen and Örgryte/Jakobsdal, and Almedal. Construction is due to begin in spring 2018. The link is due to be completed in 2026. 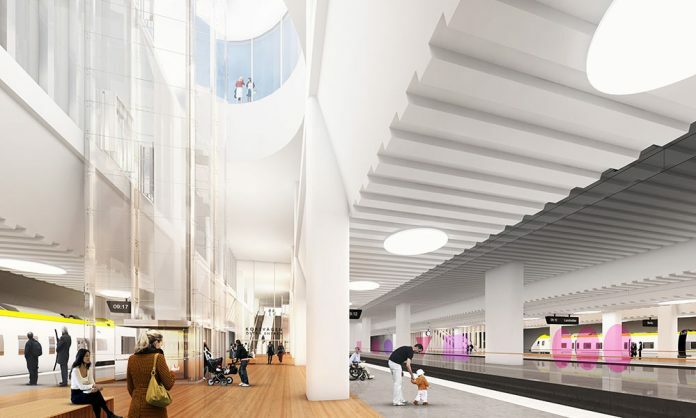 The West Link Project (Västlänken), which is being overseen by Trafikverket, is a new 8 km, double-track railway that will carry commuter and regional rail services through the centre of the city. The new railway includes a 6 km tunnel beneath the city and three new underground stations: Haga, Korsvägen and Gothenburg Central Station. 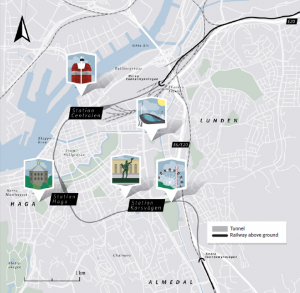 Trafikverket said the new link will increase capacity and improve travel times through the city. The contract is worth an estimated €385 million (SEK3.8 billion) to the JV, which is owned 60/40 between NCC and Wayss & Freytag Ingenieurbau. Wayss & Freytag Ingenieurbau is a German tunnelling specialist and a subsidiary of the Royal BAM Group. Delivery of the West Link project has been split into five packages. A consortium made up of Gülemak, Astaldi and Segermo is building the Haga section. NCC is delivering the phase one design for the Central Station section. The invitation to tender for the Kvarnberget section has now been issued and the invitation to tender for the systems contract will be published in early 2019.